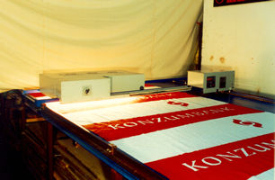 It is for continous infrared drying for flags or other screen printed materials placed on a long table. 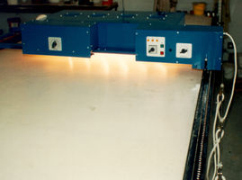 The dryer head rolls on rails mounted on the edge of the table. Motor drive serves for forward moving, while backwards can be moved by hand.